We provide on-site training for companies and show them how they can use LinkedIn as part of an effective networking and sales strategy. We hear a lot of common questions, including “Do I need a paid LinkedIn account?” The answer, as always, is that it depends on how you are planning to use LinkedIn. If you are going to use LinkedIn as a professional online profile that allows you to connect to your peers, maybe not. If you are trying to use LinkedIn as part of your overall networking and sales strategy, I would say absolutely. There are three types of paid LinkedIn accounts: Business, Business Plus and Executive. 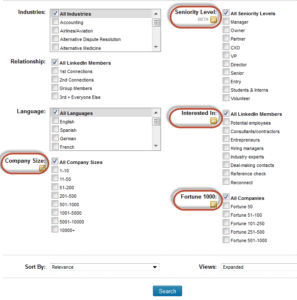 As you can see, you can specify Company Size, Seniority Level, Interested In and Fortune 1000 as additional search criteria. 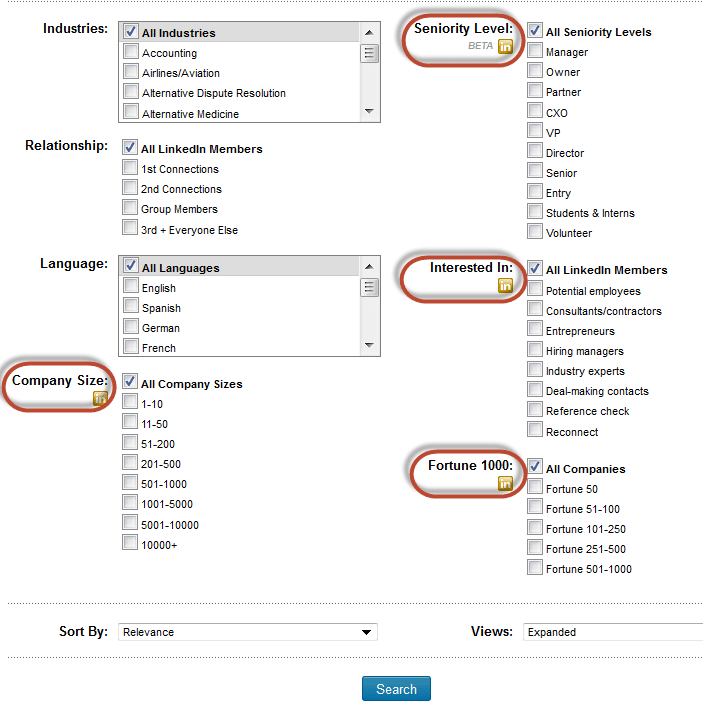 You can only use these additional search fields with a paid account. This is really helpful when you want to do a search like “Show me all people on LinkedIn that work in Kansas City, are a decision maker for their company, and the company size is between 50 and 500 employees” With a free account, you can only do a search like “Show me all people on LinkedIn that work in Kansas City” Quite a difference, right? 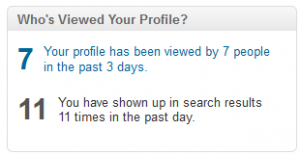 When you are doing a search on LinkedIn, do you get results that really aren’t that helpful? For example, no picture, no name, etc. With a paid account, you get more helpful information with expanded profiles of everyone on LinkedIn, even people out of your network. This includes 3rd degree connections and connections through LinkedIn Groups. Again, an important part of being effective in your prospecting efforts. The first time you click on the link to see this information, LinkedIn will ask you for permission to show others that you have viewed THEIR profile if you want to see who has viewed YOUR profile. Personally, I want to know who is looking at my profile, so I said yes. A good example of why this might be important is if you send a proposal to someone, they might check out your LinkedIn profile. This happens to me ALL THE TIME. It tells me that they are seriously considering my proposal… which is a good thing. With a free account, you can only get 100 results when you do a search for people. The Business account allows 300 results, the Business Plus account allows 500 results and the Executive account allows 700 results. Why does this matter? When you use LinkedIn long enough as a prospecting tool, you will get to the point where you already know the first 100 people in your search results because you are directly connected to them. Keep in mind that LinkedIn search results come back based on your existing connections. 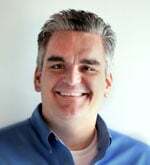 Therefore, if you are already connected to more than 100 business owners in your target market and you want to figure out new business owners that might be a good fit for your product or service, you need to be able to see more results. I list InMails last only because I personally don’t use this feature but know people that have had great success with it. With the paid versions of LinkedIn accounts, you get a monthly “bank” of InMails that you can send. InMails are trusted messages that you can use to contact anyone on LinkedIn. For example, if you really wanted to connect with someone on LinkedIn, but didn’t have anyone in common to introduce you, InMail is a good answer. The interesting thing is that InMails tend to have more importance than a direct email and often get a response instead of moved to the trash folder. LinkedIn believes in this feature so much that they guarantee a response… if the person you send an InMail to doesn’t respond, LinkedIn will credit that InMail back to your account. 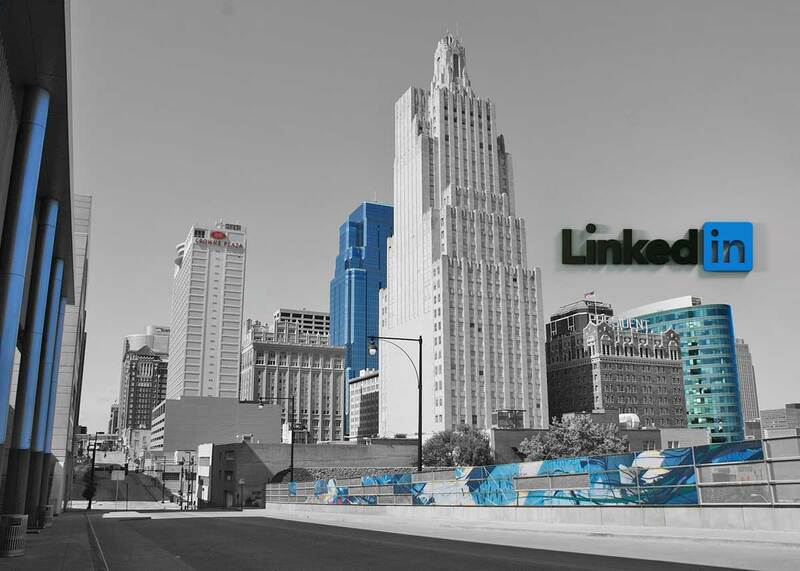 LinkedIn is an excellent tool for networking and prospecting. If you are actively prospecting for your company, a paid account makes a lot of sense, and should be a business expense! 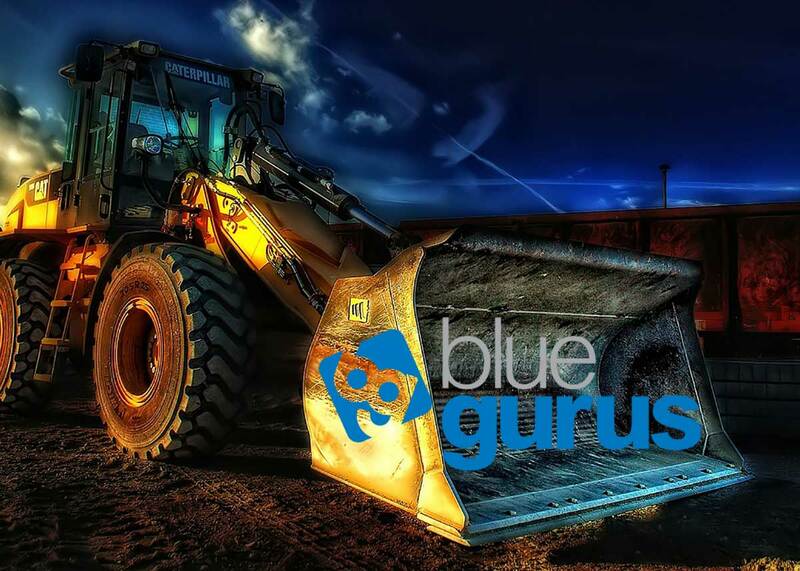 You shouldn't hesitate to have Blue Gurus show you how. You won't find more dedicated professionals. Jason understands what it takes to get and keep clients. His dedication to quality and service is top notch. He is willing to do what it takes to make sure things are done right and the customer is completely satisfied. 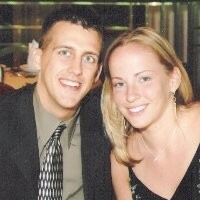 We have known each other since 2007 and have remained good friends. The more time I spend with Jason the more impressed I am at the time and energy he puts into his work. He is a great communicator and relates to people on many levels. He's easy to talk to and is fun to be around. 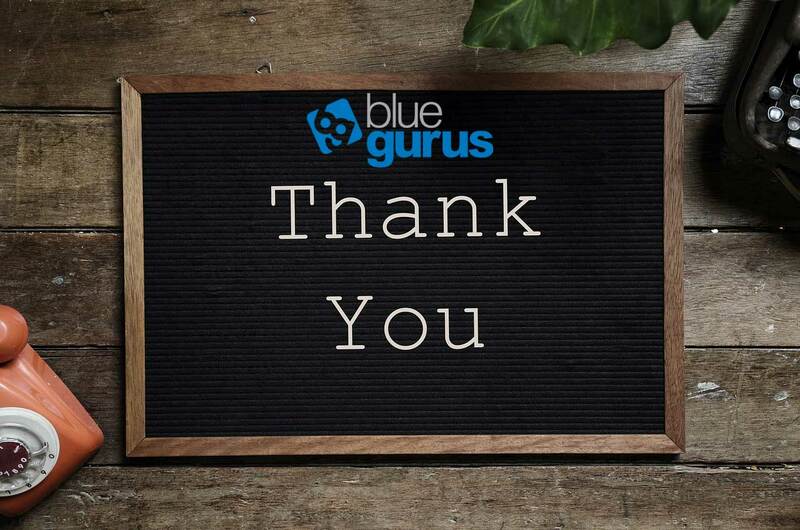 If you are looking for a company to help you grow your business through LinkedIn or Blogging, you shouldn't hesitate to have Blue Gurus show you how.